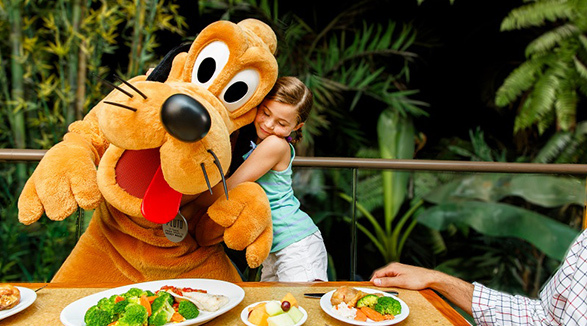 Book your WALT DISNEY WORLD® vacation today! Epcot® is arguably the second most iconic of the four WALT DISNEY WORLD® Resort theme parks. Epcot® is made up of two distinct lands: Future World and the World Showcase. 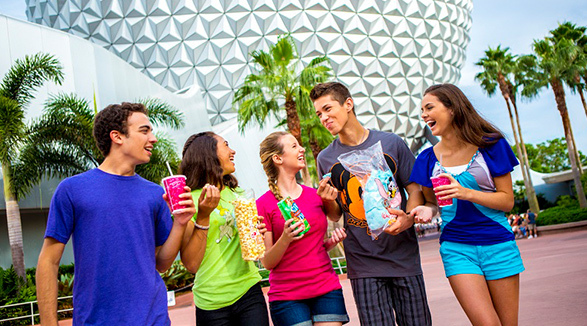 People from all around the globe come to Epcot®. Not just to visit, but to work there! 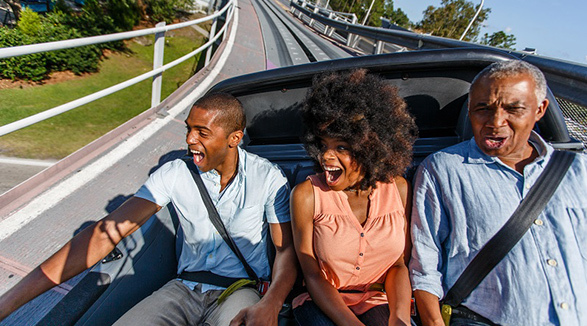 Epcot® is arguably the most diverse of the four theme parks. There are two main worlds within Epcot; Future World and the World Showcase. There are 11 countries represented in the World Showcase at Epcot® and each hosts ambassadors from its country. There is no place on Earth quite like Epcot®. No matter how many times you visit the park, you’ll likely learn something new each time. 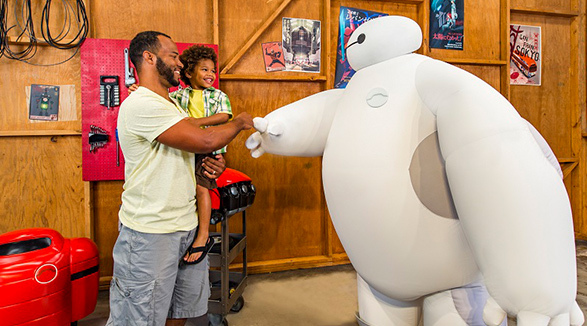 Epcot® utilizes FastPass+ on its most popular attractions. You can make reservations via the MyMagic+ app or website up to 60 days in advance if you are staying at one of the Walt Disney World® Resort Hotels. If you are staying off-property, you can start making Fastpass+ reservations 30 days in advance. Some of the most popular FastPass+ attractions at Epcot® include Frozen Ever After in the Norway Showcase, Soarin’ Around the World and Test Track in the Future World. Of course the attractions aren’t the only major draws to Epcot®. Being able to taste the flavors from around the world brings foodies year-round. In fact, one of the most sought after restaurants is found in Epcot®. Le Cellier is a high end steak house located in the Canada Showcase. You’ll definitely want to make your reservation 180 days in advance for this spot. Akershus Royal Banquet Hall is one of the most popular Character Dining experiences and is located in the Norway Showcase. And finally, Coral Reef is a seafood restaurant with floor to ceiling views of The Seas with Nemo & Friends aquarium. 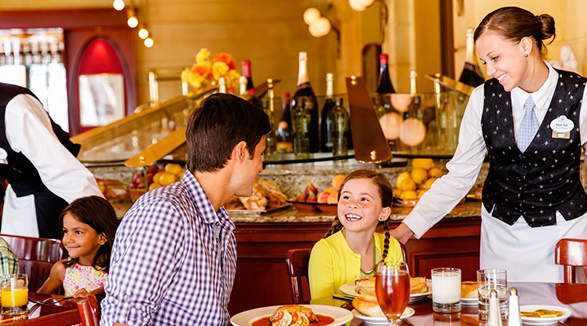 Of course there are numerous quick and table service restaurants throughout Epcot® as well. Epcot® also earns the title “most festive” of the four major Walt Disney World® Resort theme parks for hosting the most festivals. The newest addition to Epcot’s festival line-up is the Festival of the Arts. This celebration begins in January and features different events each weekend. The Epcot® International Flower and Garden Festival blooms each spring at the theme park. Fall brings the International Food and Wine Festival and winter brings Holidays Around the World at Epcot®. Most of the general admission festival activities like concerts and displays are included with your the park ticket. However, each festival normally includes special workshops, meals, experiences or events that may be extra. Check before you go to make sure you don’t miss out on anything! Epcot® is so much fun with an incredible variety of experiences. Plus, with so many festivals, it’s a different experience each time you visit! 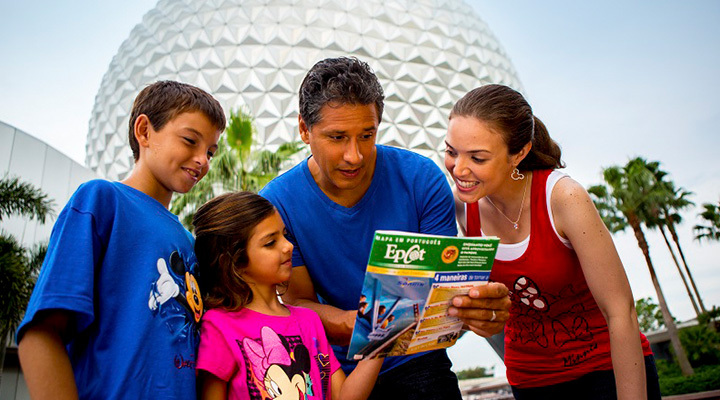 Be sure to plan enough time to take in all that Epcot® has to offer during your vacation to Walt Disney World®. Feel the spirit of the nation when you visit the American Adventure at Epcot®. You'll have so much fun that you won't realize you're learning something too. Settle into the wilderness as you explore Canada at Epcot®. Come see what there is to experience in this small, but beautiful pavilion. Revel in the mysterious and enchanting history of China with exciting attractions and entertainment. 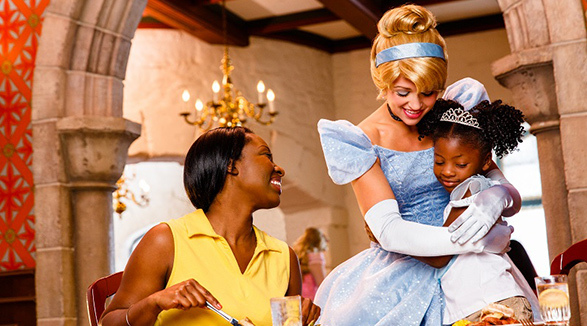 France at Epcot® is home to delicious pastries, fine architecture and a well-read princess. Future World at Epcot® is where imagination and innovation for tomorrow come together to create a land unlike anything you've ever seen. Delight in good food, history and more. 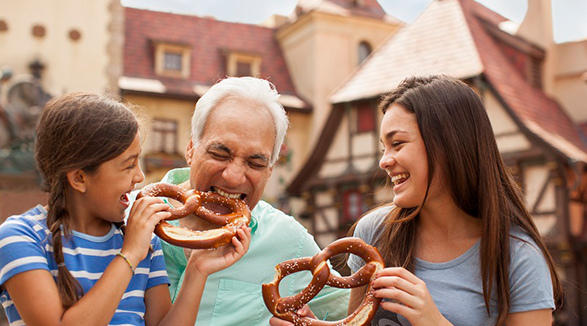 Every day is a celeration when you visit Germany at Epcot®. Adventure into a world of senses when you visit the Imagination! pavilion at Epcot®. Explore the magic of color and technology at the Innoventions pavilion at Epcot®. It's where science is super cool and fun. 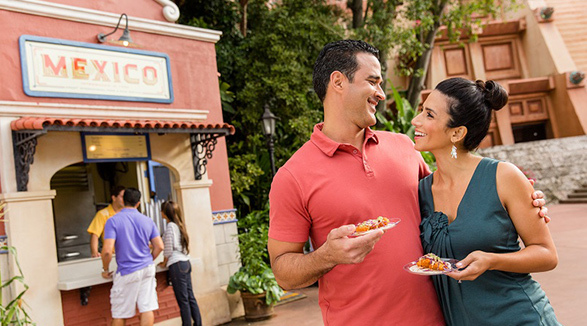 Explore a world of romance and culture in Italy at Epcot®. This pavilion brings you authentic flavors, sites and entertainment from one of the most romantic countries in the world. 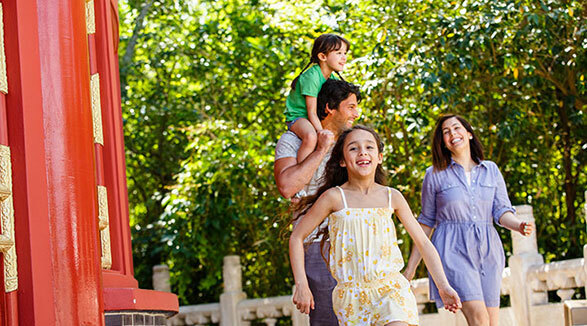 Relax amid tranquil gardens and beautiful architecture in Japan at Epcot®. This pavilion is also home to one of the most popular nighttime shows at WALT DISNEY WORLD®. 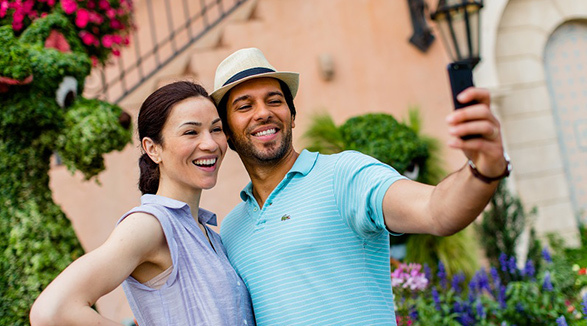 Celebrate the beauty and culture of the country in Mexico at Epcot®. You'll love the vibrant colors and flavors found here. 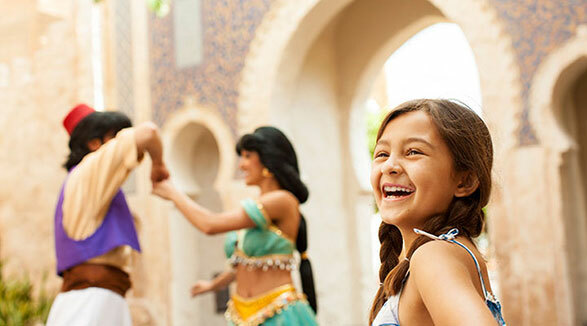 Spice up your trip with a visit to the Morocco pavilion. Food and fun await at Morocco at Epcot®. The land of fairy tells has come to life in Norway at Epcot®. Frozen fractals will be all around you in this charming pavilion. 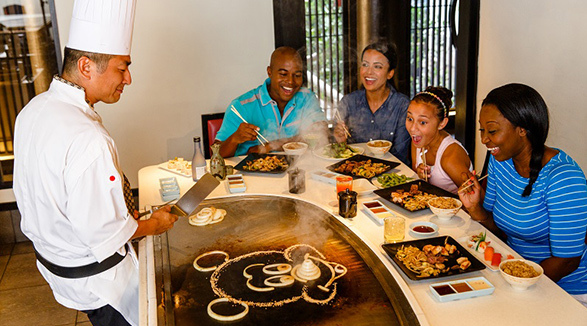 Some of Epcot's most unique dining locations and attraction are located here. Whether you're Soarin' Around the World or dining with the fishes down below, you'll love exploring The Land and the Seas at Epcot®. 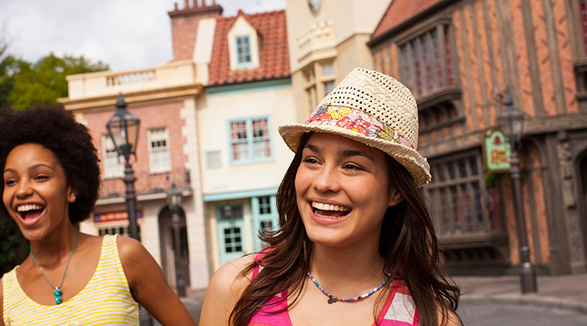 Stroll through both modern London and the English countryside in the United Kingdom at Epcot®. This pavilion brings you the sights and sounds of our neighbor across the pond.